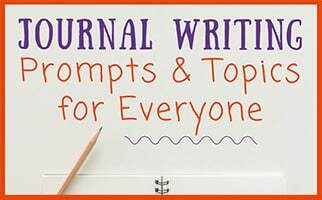 Journal Writing Prompts: A collection of resources to motivate and help people enjoy, savor and delight in their journal keeping adventures— Journal writing has long been a staple in classroom curricula, but it’s an art form that adults can practice as well. In fact, journaling at any age or stage can be a beneficial and therapeutic exercise. Taking the time to reflect on a specific topic can help clear the mind, while the process of writing the actual entry allows an individual to improve their writing skills. 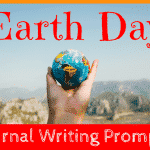 Whether you have been an avid journal writer for years or you are trying to implement a new habit into your daily routine, now is a great time to consider these journal writing prompts and topics. 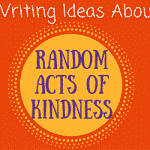 This collection of ideas is ideal for people of all ages and all skill levels. A Collection of Some of our Favorite Journal Prompts for Everyone! 1. If I wake up tomorrow and everything has changed for the better, what will have changed? 2. Write a poem about your favorite person, animal, or place. 6. Is it better to give or to receive? 13. What is your favorite time of day? Why? 14. Describe your best day ever? 19. How would you change the world to make it better? Many children have the opportunity to work on their journal in their classroom, but it is always a good idea to reinforce the concept of journaling at home. The fact of the matter is, writing continues to play a pivotal role in every subject across all grade levels. Students need to practice writing and develop their writing skills all year long, regardless of whether school is in session or not. 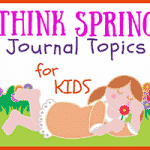 Journal writing prompts for kids allow them to think more critically about a particular topic or question. Prior to writing, they have to consider the prompt and reach deep into their imaginations in order to come up with the content for their entry. Questions that allow them to reflect on their own dreams, desires or decisions give them a chance to carefully consider their own instincts and inhibitions. In many cases, they may become more aware of what they want to do, who they want to be, and how they should act in a given setting. They may be able to better understand a past mistake, and think about a new approach that will work well in the future. What could our class do to help those who are less fortunate? Story starters for children are a great way to kick-start the creative writing process. For most people, creative writing does not come naturally. It can be difficult, challenging, and sometimes uncomfortable for them to place their ideas, their characters, and their stories on paper. By using these prompts, children will have an easy way to begin their story and then they can let their imagination be their guide. 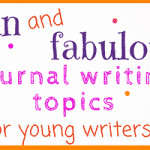 These are just a few of our favorite journal writing prompts and story starters for writers of all ages. Now, it’s up to you to keep on writing!